University staff got involved by coming to work sporting something red for the day and by donating £1. Big thanks to everyone who supported this campaign. 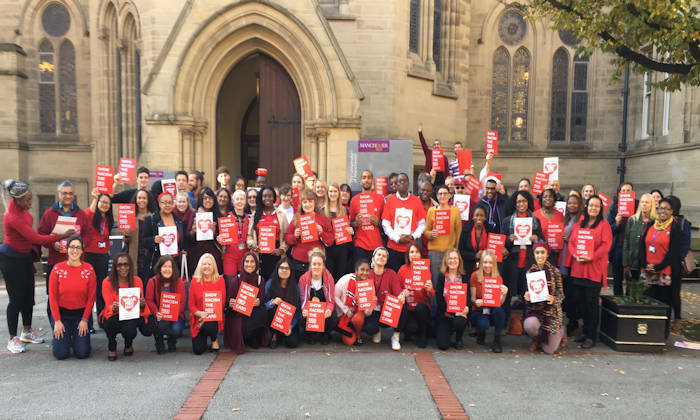 Wear Red Day (WRD) is a national day of action which encourages schools, businesses & individuals to wear red and donate £1 to help facilitate the delivery of anti-racism education for young people & adults throughout England, Scotland & Wales. For just £5, SRtRC can educate one child for a whole day. Every penny raised during WRD enables the campaign to work with more young people and adults across the UK to challenge racism in society.